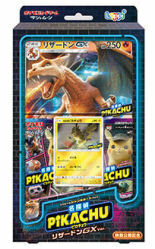 Welcome to Dogasu's Backpack, a fansite for the Japanese franchise Pocket Monsters! For eighteen years this website has been your guide for the Japanese version of Pokémon and contains content you can't find anywhere else. Stuff like detailed comparisons between the Japanese version and the English version of the animated series, English-Japanese lists for all pokemon, information on the various manga, a lyrics database, a DVD Guide, and much more! So whether you're a seasoned veteran or a newbie just getting into Pocket Monsters, this site has something for every fan to enjoy. 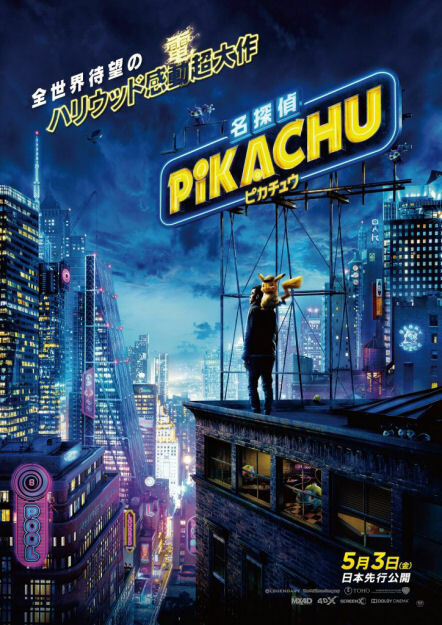 Dogasu @ 01:35 JST -- Yesterday the ending theme to the Hollywood live action Detective Pikachu movie was revealed to be a new song called "ELECTRICITY" by the Honest Boyz® featuring Lil Uzi Vert. 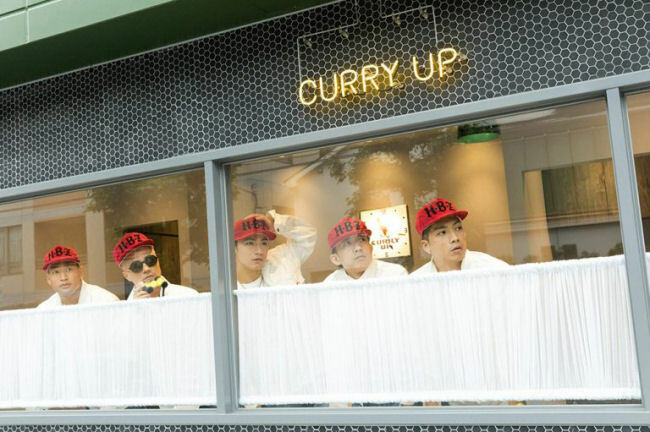 On April 16th it was revealed that the five-man music group "Honest Boyz®," whose members include Verbal from m-flo (age 43) and Naoto from Exile (35), will be providing the ending theme to the Hollywood live action Detective Pikachu movie, in theaters May 3rd in Japan, with their new song "Electricity featuring Lil Uzi Vert" (release date TBD). But it won't just be used in Japan, which is getting the movie first; an original version will also be used in the Americas, Europe, Africa, and Asia. The song will serve as the group's debut onto the world stage. "Electricity" will also feature the U.S. top charter Lil Uzi Vert (23) and be produced by the eleven-time Grammy award winner Pharrell Williams, who's worked with acts such as Beyoncé and Ariana Grande. 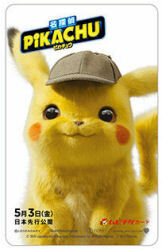 Detective Pikachu, meanwhile, is a live action movie based on a 3DS video game from the Japanese cultural phenomenon "Pocket Monsters." Pharrell Williams, with whom Verbal has become good friends with over the years, also has connections within Hollywood and so this collaboration with the country that gave the world Pokemon is a huge deal. Verbal cheerfully comments that "it really feels like a miracle's taken place." Honest Boyz® is a hip hop group started in 2016 made up of one DJ and four emcees. In January of this year they made headlines for their genre-breaking collaboration with the music duo Kobukuro on their new hit song Sakura feat. Kobukuro. "Electricity" will be the group's second collaboration with Pharrell after their song Tokyo Dip, released in 2018. Verbal is thankful for the support, saying that "It seems like there are contracts with the movie studios, and multiple record labels involved, and all this other red tape to have to wade through and yet Pharrell managed to make it all work out in the end." Verbal is no stranger to the world stage and Nigo (48) has also had a solo career as a worldwide creator. And then there's Mandy Sekiguchi (28), stage name "Mandy," who's experienced traveling on two world tours with his group Generations. Mandy has been playing the Pokemon games ever since he was little and says "It feels kind of weird. To get the chance to be involved with a Hollywood movie that represents Pokemon, one of the symbols of Japan, is something I couldn't have ever dreamed of." All eyes will be on the Land of the Rising Sun as it prepares for the Tokyo Olympics / Paralympics next year. And the country is relying on anime and video games to represent Japanese culture. Meanwhile, the final negotiations are currently underway to have "Electricity" released by major record labels worldwide. Mandy says "I still can't get over it. But the truth is our song really is going to be released all over the world along with this movie. I hope everyone will get to know the Honest Boyz® thanks to Japan's Pokemon. These days we're in an era when people from all over the world are enjoying what Japan's putting out there. I hope we can do our country proud and get more people interested in Japan" he said with a fire in his eyes. Detective Pikachu is a film based on the Nintendo 3DS game Detective Pikachu ~ Birth of a New Duo~ and is made by Legendary Entertainment, the movie studio behind such films as Godzilla and The Dark Knight. Pikachu's voice will be provided by Deadpool's Ryan Reynolds. 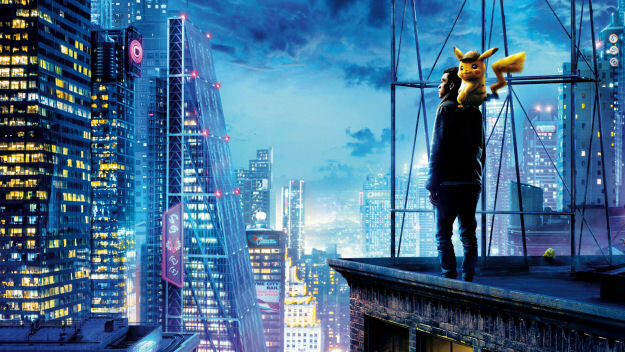 The film's story begins when Pikachu's human partner Tim, played by Justice Smith, travels to Ryme City to search for his father when he meets a detective Pikachu who can speak human language that only Tim can hear. Japanese actor Ken Watanabe plays Lieutenant Yoshida in an original role. In the Japanese dub of the film, Tim is voiced by Ryoma Takeuchi and Lucy is voiced by Marie Iitoya. On the U.S. side of this collaboration, Lil Uzi Vert (23) is an American rapper known for songs such as Money Longer and XO Tour Llif3. Pharrell Williams (46) is, well, Pharrell Williams. He doesn't need any introduction. Preview clips of the song Electricity haven't been released to the public yet but with the movie coming out in a little over two weeks in Japan it won't be long before we get a chance to hear it. Detective Pikachu will be one of two Pokemon movies coming out later this year, with the other being Pocket Monsters The Movie "Mewtwo Strikes Back! Evolution". The former currently has a release date of May 3rd, 2019 in Japan. For the purposes of this website, I will be focusing primarily on the Japanese release of the film. 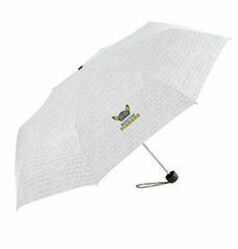 More information about its release will be added as it becomes available. Dogasu @ 07:42 JST -- The May 2019 issue of CoroCoro Comics, on sale this past Monday, revealed in its previews for the next month's issue that the magazine will be running a Mewtwo Strikes Back Evolution manga. The manga will be a two-parter. The magazine's official website also posted a preview image. No artist or story information (is it a straight-up adaptation? A side story?) have been revealed yet. The original Pocket Monsters The Movie "Mewtwo Strikes Back!" received a 52-page manga "adaptation" back in 1998. 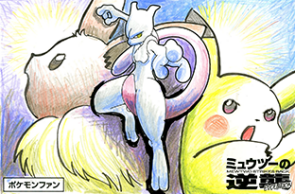 That manga, written by Dengeki Pikachu artist Toshihiro Ono, made up a completely different origin story for Mewtwo and stopped at around the time our heroes reached New Island. Read more details about it here. If this new manga is indeed a simple 1:1 adaptation then this would actually be the first time this movie has received a manga adaptation. The June 2019 issue of CoroCoro Comics goes on sale May 15th, 2019. 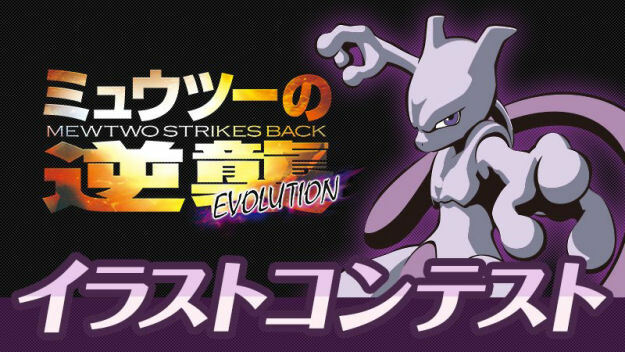 Mewtwo Strikes Back Evolution (ミュウツーの逆襲 EVOLUTION) will be the 22nd Pocket Monsters movie. 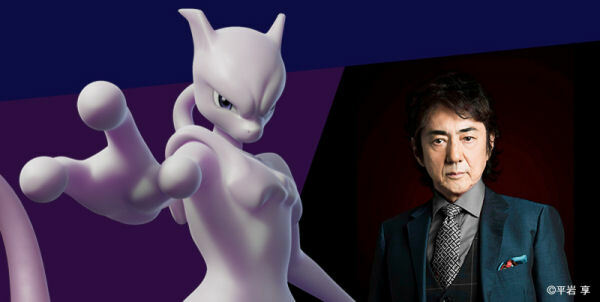 The film will be released on Friday, July 12th, 2019 in Japan and is part of a year-long campaign known as "The Year of Mewtwo." 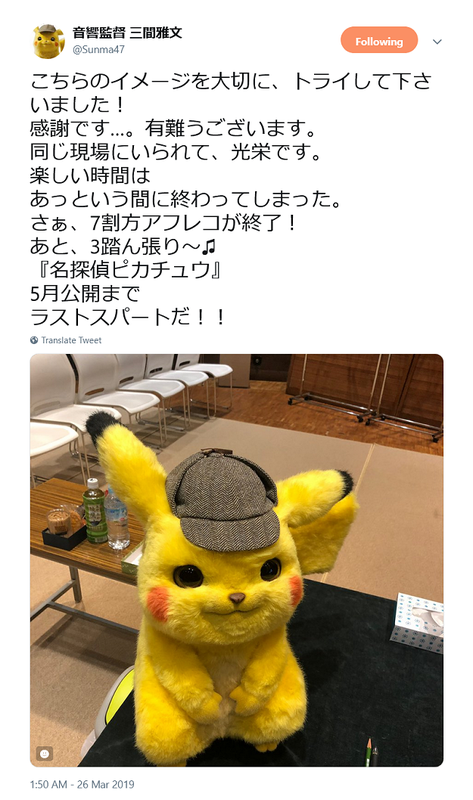 Dogasu @ 23:45 JST -- Later this month there will be two events to commemorate the completion of the film Detective Pikachu. The first one will take place on Thursday, April 25th and appears to be a Special Stage Show where Ryan Reynolds, Justice Smith, Kathryn Newton, Ken Watanabe, Ryoma Takeuchi, Marie Iitoya, and director Rob Letterman are going to all be in Tokyo to...well, we don't really know yet. I guess they'll go up on stage and talk amongst themselves for an hour or so, maybe? The official site is referring to this event as a "World Premiere" (ワールドプレミア) but they're not actually showing the movie that night so I don't know why they're calling it that. I've translated the details that have been released about the event so far and have compiled all that here. The second event takes place the following day, April 26th, and this will be an actual Pre-Release Screening of the film. That's a week before its Japanese release and two weeks before it comes out in the U.S. The screenings will take place in five cities across Japan. I've compiled all the information released about that event onto its own page here. Both events require you to apply online for a chance at being selected to attend . I've already applied for both events so let's see whether I get an invitation or not. Either way, do be aware that spoilers for the film will most likely hit the Internet shortly after the Japanese premiere in a little over two weeks. Dogasu @ 23:55 JST -- This past Saturday the official website for Mewtwo Strikes Back Evolution announced that the ending theme for the film will be a new version of Kaze to Issho ni, the theme song to the 1998 original Pocket Monsters The Movie "Mewtwo Strikes Back!" 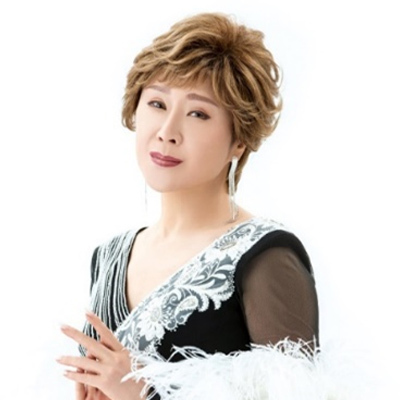 Sachiko Kobayashi, who sung the original version 21 years ago, is coming back to sing the new one and is being joined this time by Shoko Nakagawa. It's been 21 years since I got to work on the fantastic Kaze to Issho ni. A lot of time has passed since then and yet to still be able to use this song to express how amazing the world of Pokemon is makes me feel oh so very happy. I put all my heart into this song so that both the kids who heard the original and grew up to be adults as well as those who are still kids right now will feel nice, happy feelings. I hope people of all ages can feel those feelings again. I was a little kid 21 years ago when I first crossed paths with the Pokemon movies. And now, even as an adult, I'm going forward with those memories close to my heart. For this year's movie, the fact that this song lets us reach children of both the present and the future is all thanks to the "miracle even more incredible than a dream" that Pokemon has given us! Alongside Ms. Sachiko Kobayashi, who I absolutely adore, I put all my love into singing this song. I'm also looking forward to singing this generation-spanning song with all the children who love Pokemon. 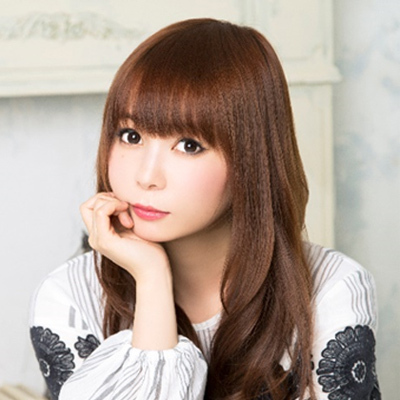 Additionally, Sony Music Labels, Inc., the label who will be releasing the song, is running an open casting call for elementary school aged children in the Tokyo area to sing parts of the new song as one of the "Pokemon Kid 2019." This casting call news will affect approximately 0% of the people who read this site but I went ahead and translated the details anyway to give you a look at what all is going into the making of this song. More details about each release can be found in the CD Guide. And since we're talking about it I went ahead and brushed off the my translation of the lyrics to the original Kaze to Issho ni. I'm assuming the new version will be exactly the same, lyrics-wise, so hopefully I'll just be able to copy / paste the work I did tonight onto a new page and call it a day. 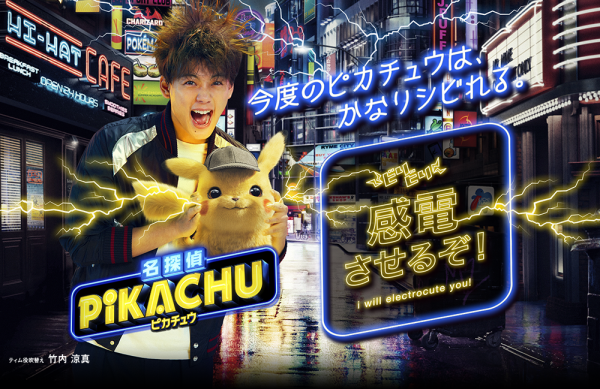 Dogasu @ 07:51 JST -- In celebration of the Japanese release of Detective Pikachu, which comes out May 3rd in the Land of the Rising Sun, a special photo event called the "Pikachu Kanden Studio" ("Pikachu Electrocution Studio") is going to be held in five cities nationwide starting this month. The event invites you to come and get a social media friendly picture taken at one of three booths: The "Pachi-Pachi Booth," where a Van de Graaff generator is used to produce static electricity like in the promotional image above; the "Mofu-Mofu Booth," where you can get a cuteness overload sitting in a room filled with soft, fluffy, Pikachu-yellow furniture; and the "Gira-Gira Booth," an area made to look like the neon sign decorated streets of Ryme City. The full details about the event, originally posted on the movie's official website, have been translated and archived in their own page here. Dogasu @ 00:05 JST -- There's another Pocket Monsters movie coming out this year and so of course that means I have double the work to do! This time, let's focus on the Hollywood live action film Detective Pikachu. First up, it was recently announced that the movie will be coming out in Japan on Friday, May 3rd 2019. That's a full week before its American release on May 10th. While that may seem strange for a Hollywood film to make its debut outside the U.S. there are quite a number of precedents; look up the Marvel movie international release dates, for example. 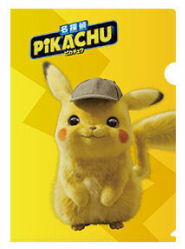 Speaking of Marvel, Marvel's Avengers: Endgame comes out the weekend before (April 26th) in Japan and so I'm guessing Detective Pikachu's going to be doing good to debut in second place at the Japanese box office. It's also worth mentioning that May 3rd is right in the middle of Golden Week, one of the three big holiday periods in Japan. This year's Golden Week is going to be an unprecedented ten days long thanks to a couple of special holidays being added for the changing of the emperor and so a lot of families will be taking this once in a lifetime opportunity to go traveling. How will this affect the Japanese box office performance that week? I guess we'll find out in a little over a month! By the way, I do plan to go to the earliest showing I can get to on the morning of May 3rd and will be doing all the usual reviews (spoiler-free and spoiler-filled), info dumps, etc. The second Japanese trailer was released and...there's not whole lot of new stuff going on here. But here it is anyway. The trailer does give us a glimpse of at least one change being made to the movie's soundtrack when it debuts in Japan. In the original we can hear Bonnie Tyler's Holding Out for a Hero used as what I guess is going to be an insert song while the Japanese trailer uses the Miki Asakura (麻倉未稀) cover entitled Hero - Holding Out for a Hero (ヒーローHOLDING OUT FOR A HERO). Ms. Asakura's version was originally released in 1984. 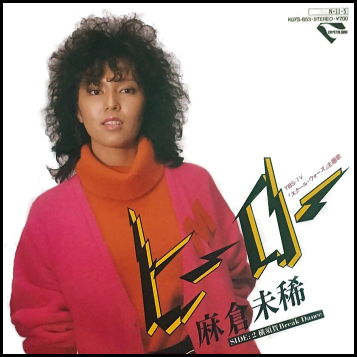 My guess is that in the case of Detective Pikachu, the English version will keep Bonnie Tyler's Holding Out for a Hero while the Japanese dub will swap that out with Miki Asakura's cover. Because we live in a world where "Holding Out for a Hero" is now a Pokemon song I went and added the lyrics to the Japanese version to the Lyrics Archive. When I first saw the footage I was really surprised by how much it felt like the pokemon were really alive, and as a fan from the pokemon generation I was also happy to be see how the rest of the world sees Pokemon. This movie takes place in Ryme City, a town with lots of pokemon and somewhere I'd want to visit if it was really real, and the whole thing is so real and exciting that it feels like I'm dreaming. This was my first time doing dubbing work and it ended up being several times more difficult than I had imagined but I had a lot of fun! I studied the way Justice (Smith) played Tim, down to the finest detail, and then really tried to play him in a way that makes it seem like Tim and I are one and the same. Tim has a lot he's dealing with and is also the kind of guy who doesn't take things lying down. I hope you'll definitely see how he grows throughout the course of the movie. From the time I was in elementary school I'd be sure to buy every game that "Pokemon" appeared in and I love it so much that I would rewatch the movies whenever I had the time and so when I was chosen to play Lucy it was like a dream come true. And actually, I just happened to be watching the trailer for this movie when I got the call...! It must have been fate or something! For me, this is my first time to dub over a live action movie so I felt there were a lot of things about it that were really tough but since this is a really great movie with a lot of excitement, laughs, mysteries, and other things going on I was able to have a lot of fun with it! My partner Koduck is also really cute so the two of us will do our best together! Finally, Ken Watanabe (渡辺謙) has been confirmed to be providing his own Japanese language voiceover for his performance as Lt. Yoshida. Masafumi Mima (三間雅文), the sound director for the Pocket Monsters animated series, is also directing the Japanese dub of this film. He's made a bunch of tweets about the progress of the Japanese dub so I went and translated them all and collected them on their own page here. Strangely enough, with all this voice actor talk Japan still hasn't revealed who will be playing the voice of Pikachu in Detective Pikachu! In Japan, pre-ordering a ticket to a Pocket Monsters movie usually gives you some sort of legendary or mythical pokemon that you can download into your main series games. Hollywood movie pre-order tickets, on the other hand, usually come with some sort of physical item. 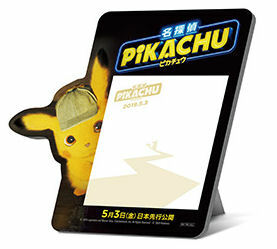 Detective Pikachu is being treated like the latter and so there's a bunch of stuff out there for you to get depending on where you buy your ticket. I've compiled details about all the pre-order bonuses being made available in Japan into their own page here. I'll be sure to pick those up and report on their contents once they go on sale. Dogasu @ 11:34 JST -- You know, if I'm going to be nearly a month late reporting on Mewtwo Strikes Back Evolution news then I'd better bring you information and analysis you can't find anywhere else, right? Of course, with this being Dogasu's Backpack and all, I also went ahead and did a full breakdown / comparison of the trailer to see what all we can gather about the new film. Check out my breakdown of the new trailer here. We're telling the whole world... It's the greatest because it's the original. 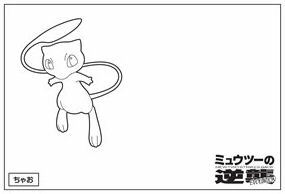 "A pure heart and a strong desire to meet"...the mythical pokemon Mew is said to only appear before those adventurers who possess both. Researchers from all over the world have been chasing after that which is said to be the genesis of all pokemon until finally, one day, a scientist discovered a Mew fossil and dirtied his hands by crossing a line that even God is afraid to cross. "What is this place...Who am I..."
A legendary pokemon was dragged into this world due to man's egotistical desire to create the strongest pokemon. That pokemon's name is Mewtwo. 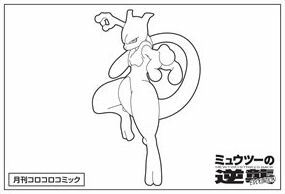 Without knowing the reason for its existence Mewtwo is subjected to experiment after experiment to make it the strongest weapon and, during all this, begins to plot against the humans who brought it into this world. "And so to the humans who gave birth to me I will...strike back." At long last, that perfect masterpiece will STRIKE BACK in full 3D-CG worldwide in Summer 2019. That last line about the movie going "worldwide in Summer 2019"...is that hinting at a worldwide simultaneous release?? On the voice cast side of things we got the expected returning names; Rika Matsumoto as Satoshi, Ikue Ohtani as Pikachu, Megumi Hayashibara as Musashi, Shin-ichiro Miki as Kojirou, and Inuko Inuyama as Nyarth. We also got word that the late Unshou Ishizuka will be back as the narrator, suggesting that his audio from the 1998 original (well, all two lines of it anyway) will be reused for 2019's film. Curiously enough, neither Kasumi's nor Takeshi's voice actors are listed yet despite appearing in the trailer. 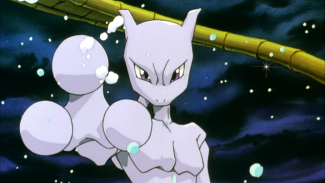 Mewtwo, the legend itself, is back and has evolved to be even better than ever. I once again called upon the "Mewtwo spirit" within me to play the role for this year's film. Mewtwo Strikes Back Evolution brings it all back after 21 years as the first all CG Pokemon movie. 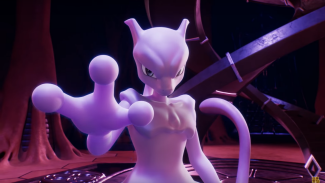 I hope to deliver the power of the legendary pokemon "Mewtwo" to everyone out there regardless of whether you've seen the first movie or not! We'll see you at the theater! Still no word yet if the first film's other special guest voice actors - Kouichi Yamadera as Mew and Sachiko Kobayashi as Voyager - will be returning. 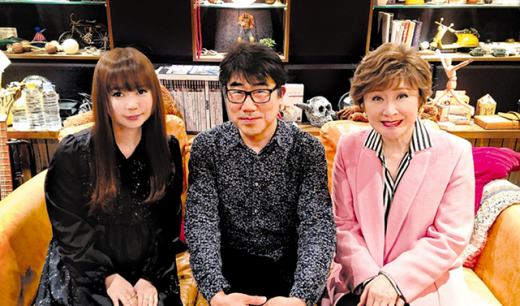 On the staff side, we got Junya Okamoto (岡本順哉) and Katakami Hidenaga (片上秀長) returning as Executive Producers from last year's Pocket Monsters The Movie "Everyone's Story." The regular Producers of the film are Satoshi Shimodaira (下平聡士), Nobuyuki Hosoya (細谷伸之) and Yosuke Nagafuchi (長渕陽介). Masashi Kobayashi (小林雅士) is the animation producer of the new film. Previous credits of his include Rudolf the Black Cat, Cyborg 009 Call of Justice, and Snack World. Kiyoshi Nasu (那須基仁)'s the CGI supervisor. He previously worked on the CG in Future Card Buddyfight. At Sprite Animation Studios we specialize in creating CG animated works. Our passion to create something that is uniquely ours – infused with Spriteness – gave birth to Sprite Animation Studios in 2002 in Honolulu, Hawaii. In 2004, Sprite Animation Studios relocated to Los Angeles, which has been our home ever since. Although our company is American-born and bred, our core staff is comprised of creative minds with cultural roots in both Japan and America. The collaboration of these "East Meets West" values allows us to create unique works which we delight in sharing with the world. As a small boutique studio in LA we swim in a big pond but our great passion and pride allow us to achieve what would be thought unachievable. We believe that a good CG-animated story has the magical power to touch and transport its audience to a different time and place, and we will always be passionate about crafting this magic for our audience! In early 2009, Sprite entered into a partnership with OLM Digital, Inc., expanding our production capacity and our ability to handle large-scale projects. This has also made possible a seamless production line between LA and Tokyo through the sharing of Sprite's workflow methods and tools perfected over five years of research and development by its internal team. This lead to our first joint production in 2013: Pac-Man and the Ghostly Adventures (Disney XD), in which the entire production process – from storyboard to delivery – was handled by Sprite and OLM. In 2016, we saw the launch of our much anticipated theatrical films, Rudolf: The Black Cat and Snack World: Lenny the Misanthrope. So what is next for Sprite? To continue creating CG-animated projects that resonate with our audience – projects with a touch of Spriteness! On the audio side of things, the duo of Masafumi Mima (三間雅文) and Shinji Miyazaki (宮崎慎二) return as sound director and music composer, respectively. The first movie's soundtrack was composed by both Shinji Miyazaki and Hirokazu Tanaka (たなかひろかず) but, as of this writing, there's no word of the latter being involved in the new film at all. I'm guessing that, at the very least, the music he wrote for the original will be replaced with all new music, though of course we don't have any real way of knowing until the final film's released. Details about this year's illustration contest have been revealed. The general idea is that you take one of the templates seen on the left side below, draw fanart around it like the examples on the right, and then send it in to one of the magazines associated with the franchise. Here are some examples of what they're looking for; the template's on the left while an example's on the right. Prizes include having your name and artwork featured during the end credits of Mewtwo Strikes Back Evolution and a copy of either Pocket Monsters Let's Go! Pikachu or Let's Go! Eevee. 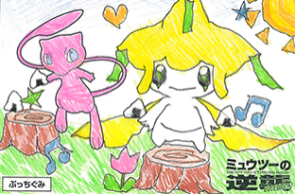 I've compiled / translated all the details about the illustration contest on its own page here. 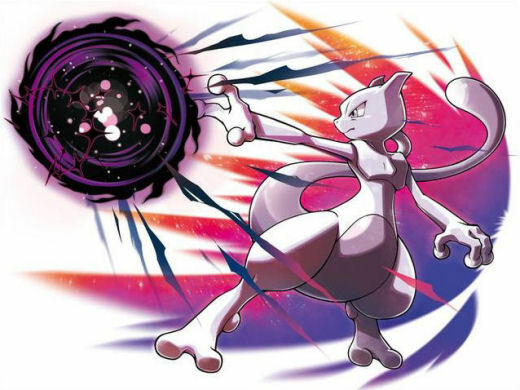 Those who purchase a pre-order ticket - which go on sale starting April 12th, can get a special "Strikes Back Mewtwo" for their Pocket Monsters Let's Go! Pikachu or Let's Go! Eevee games. I've compiled / translated all the details about the distribution on its own page here. Dogasu's Backpack is a fan-created website. Pocket Monsters (Pokémon) is © 1995-2018 Nintendo / Creatures Inc. / GAME FREAK, Inc. / Pokémon. No infringement of copyrights is meant by the creation of the web site.